Food Lit: Books for Foodies | "Il faut goûter"
I’ve been reading books about food, recipes not necessarily included. I’ve always been drawn to cookbooks and food magazines, but only quite recently have I begun to discover some different kinds of food literature. I guess my new-found delight in ‘food people’ biographies and memoirs began with my viewing of a documentary on Julia Child. She was the ultimate, spending several indulgent years in France at the Cordon Bleu, then mirthfully sharing her expertise with a burgeoning American cooking population. That Julia–she’s a gem. Watching her makes me positively giddy. 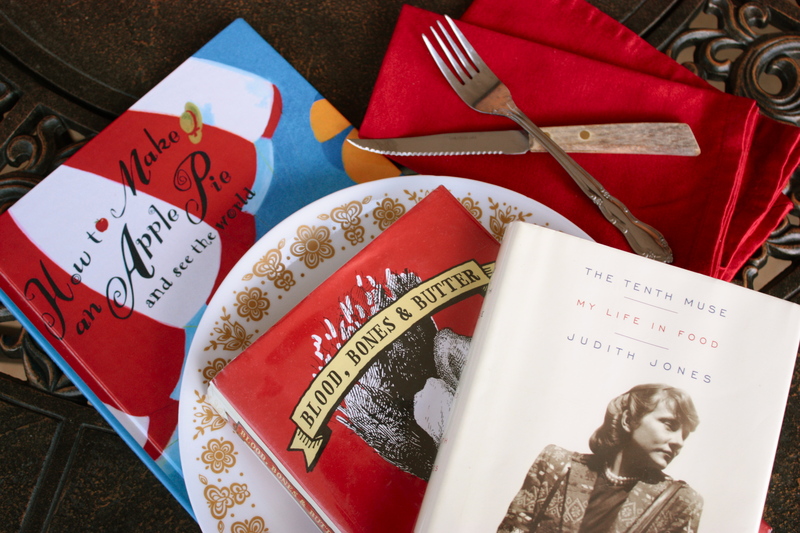 I have since discovered the spirit of Julia in books about some other fine ‘food people.’ I’ve enjoyed these books so much that I feel I should recommend them to other food lit seekers. These are stories both inspiring and mouth-watering, full of the passion and delicious obsession that so many foodies share. They tell of those people who have artfully made food into a lifestyle and career, people who know how (and want!) to make sausages at home and who relish the feel of elastic bread dough under the heels of their hands. These are food people, and if you, like me, identify with their food fixations, you’ll feel right at home with your nose in their books. In addition (because I work in a library and float between the Adult and Children’s departments), I will also recommend some children’s books with food as the main topic. These are simply books that caught my eye and my heart with their descriptions, detail, and illustrations. So, I’m going to periodically post installments to Books for Foodies–they are books that I recommend to all of us who can’t stop thinking about food. First book coming soon (hint: it’s in the photo)!! This entry was posted in Uncategorized and tagged books, books for foodies, Cooking, food, food lit, literature by needtotaste. Bookmark the permalink. What a great feature. I recognize that CorningWare! Hey great, thanks for the recommendation! I’ll have to seek that one out, and maybe I’ll review it as well!